My personal journey from a girl to a lady has been difficult, as I made the journey through myriad of taboos and misconceptions that came along. While the pain and inconveniences are real, a lot could be done to make the girl more knowledgeable in this area. 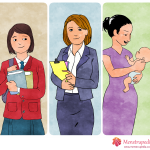 Menstrupedia, founded by Aditi Gupta, Tuhin Paul and Rajat Mittal aims to solve this problem by using their design skills to print comic strips and debunk the myths surrounding this regular phenomenon in women’s lives. Aditi has been recently featured in Forbes India 30 under 30 for her outstanding work with Menstrupedia. At NID, when Aditi and Tuhin got into a relationship, Tuhin came to know more about the pain that girls and women go through every month during their periods and how they are often treated impure because of it. It wouldn’t be very hard to imagine what a young girl goes through in the absence of a proper source of information on the subject and on top of that being branded impure by her own family. 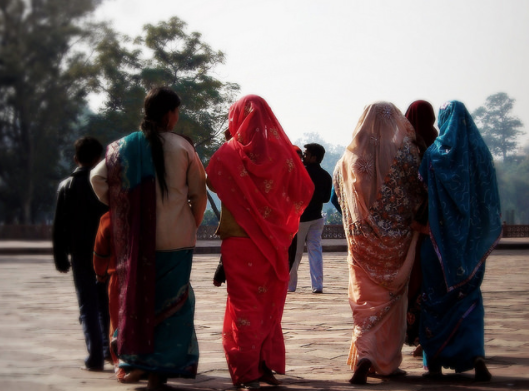 Aditi had herself experienced and dealt with menstruation related problems in her life and had always felt a need for trustworthy and easily accessible information on this subject. This might be a situation not just in India but in many other countries as well. [pullquote]The duo Aditi and Tuhin saw a lot of design scope to take up this gap of information as communication designers, and what started out as a thesis project at NID has now become Menstrupedia[/pullquote]. Aditi had taken up a yearlong project to study the level of awareness about menstruation in young girls. Though it was Aditi’s project, Tuhin was closely involved in it from the beginning as it is not just a problem of women health and hygiene but also a communication design problem. At the end of the project, the team found a need for an appropriate guide about menstruation for young girls and created a prototype where they explained menstruation through comic medium using characters and stories and tested it with young girls. This indeed gave them very positive response. [pullquote align=”right”] Conduct extensive research to understand the user needs properly as this will form a strong foundation to the concept. 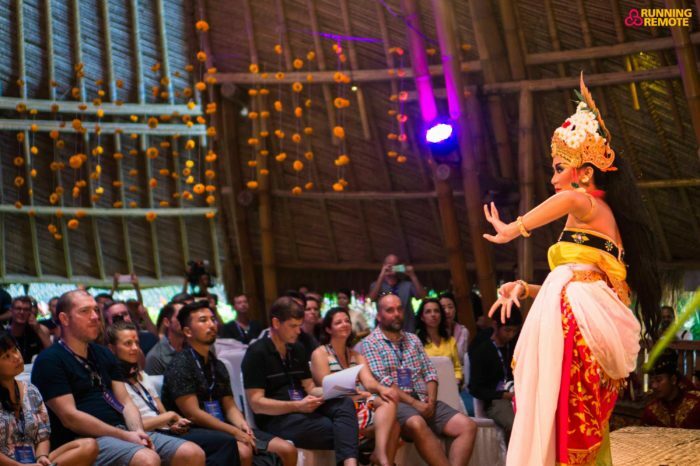 Keep the focus on the user need rather than the product. Product is supposed to change and adapt to the user needs[/pullquote] Menstrupedia currently receives 70K visitors, from 195 countries – which means visitors from every country of the world. On an average a user spend 3 mins on the website.These stats are enough to prove the scale of the issue Aditi & team have been dealing with. 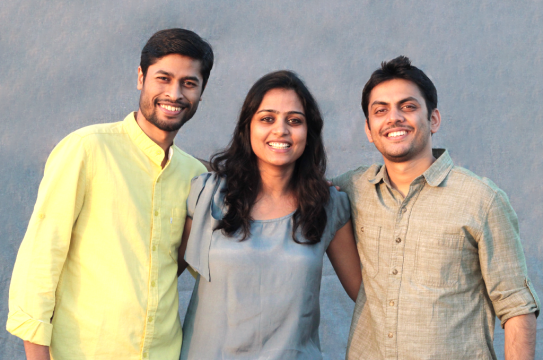 Menstrupedia was founded by Aditi Gupta and Tuhil Paul in 2012, later joined in by Rajat Mittal in 2013. After working for 3 years in e-learning industry and having saved some money as an initial investment, the team quit their jobs and started working full time on Menstrupedia since August 2012. For working full time on the initiative, managing funds was a major challenge for us, says Aditi. Even after cost-cuttings, the initial savings allowed them to sustain for just one year and the team had to raise more funds before that so that they could sustain till a revenue stream is in place. “Investors were turning us down as they believed sustaining Menstrupedia through selling printed comics is a risky business proposition. Therefore raising funds was an ever growing challenge for us right from the very beginning. Developing the website to its current state took us till January and given the costs of bulk printing, we weren’t left with enough funds to develop the Menstrupedia comic and get it printed, leave alone the distribution logistics that would follow”, says Aditi. Aditi firmly believed that, what they were creating is much needed and will help so many young girls. To vouch for the value Menstrupedia has been adding to these girls’ lives, just two months before the team ran out of funds, they managed to raise 5.15 lakhs with the help of 175 contributors. “Plan well in advance for raising funds to support the venture and have backup plans as well.“, says Aditi. 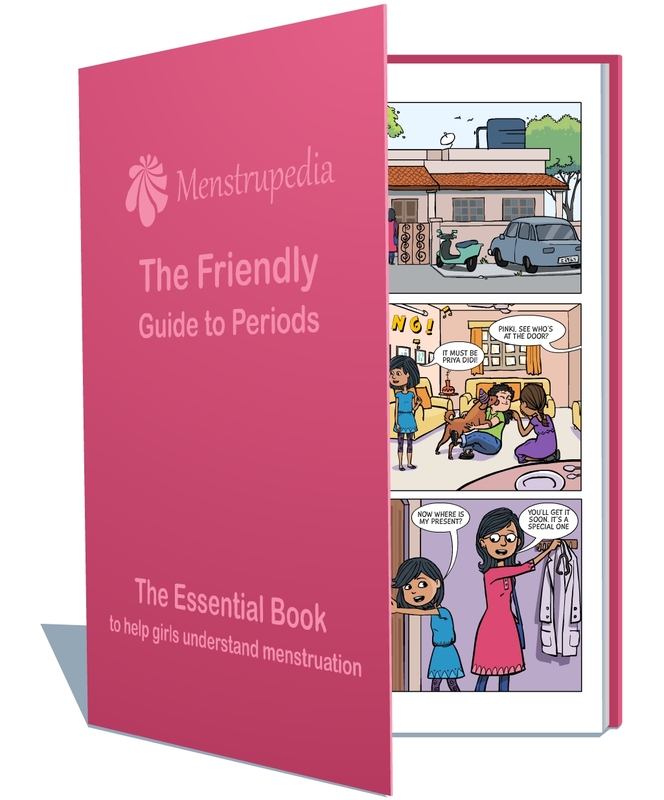 [pullquote]It introduces the concept of menstruation and menstrual hygiene management through interesting characters and scenarios that they can relate to[/pullquote] Menstrupedia comic targets Indian urban girls in the age group of 8-13 yrs. The comic will be available as a printed book as well as an audio visual narrative on digital devices. 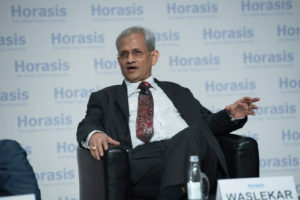 Initially, the team is catering only to Indian audience but subsequently plans to modify the content to suit different cultures across the globe. 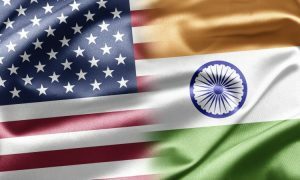 The initial prototype developed to test the approach is available in English and Hindi and is free for people to print and use. “Parents can purchase this comic and gift it to their daughters. We will also collaborate with schools to make this comic available to girl students.We would also be developing educational kits for trainers to conduct effective workshop for girls in school.”, says Aditi. The hardest part is to reach the young girls who do not have the menstruation hygiene information and are not equipped enough to find it on the Internet. To counter this, Aditi & team plan menstrual awareness workshops conducted by partners (sanitary pad producer), social media promotion via Twitter and Facebook, informational blogs on the website and tie ups with NGOs, schools, e-commerce websites like Flipkart, Infibeam, Crossword and local bookstores. In near future, the team plans to come up with a comprehensive online illustrated guide on menstruation covering all topics related to women reproductive health. As teachers are the main influencers for girls just starting out in puberty, menstrual awareness workshop kit is in pipeline for teachers to further spread the message. And, most importantly, SMS and E-mail based menstrual tracking is in plans for those without smart-phones. 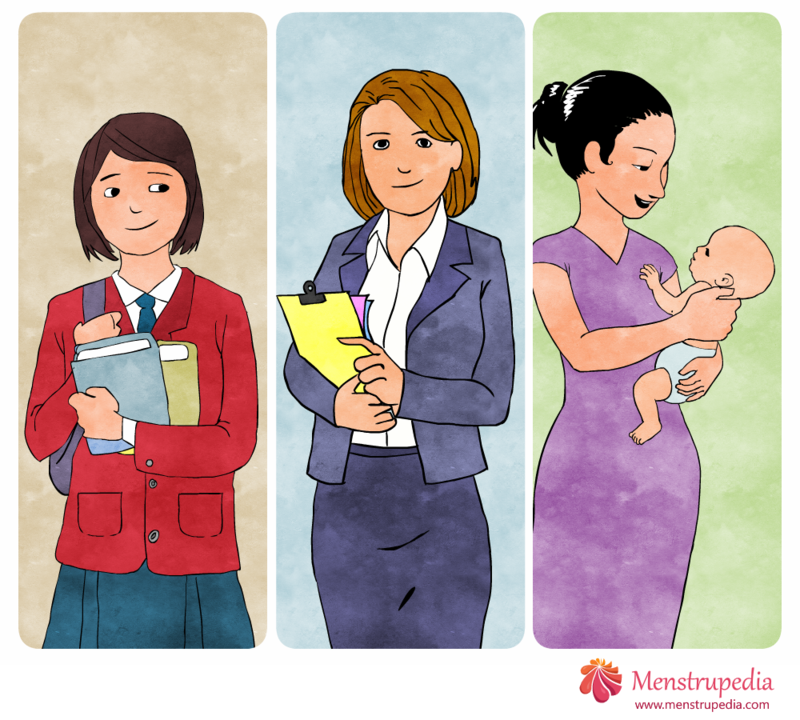 The team also plans to translate translation of Menstrupedia comic book is as many languages as possible, for wider adoption. It is indeed a welcome change to see young people like Aditi, Tuhin and Rajat take the rocky road of Entrepreneurship to give every girl the right to know about puberty and the changes accompanying it. Knowing this information is one of the most basic and often overlooked need for a girl, and Hatsoff to Menstrupedia team for coming up with a creative way to explain most difficult of the things. We are still in the era where men hardly listen to “women’s problems”, and we@TTP would like to give a shout out to Tuhin Paul and Rajat Mittal for believing in this project and standing firmly behind Aditi to benefit every girl and woman in the world. If you have a girl nearing puberty at home, please do her a favor and show her the comic strips today! Thanks for this wondeful blog. It’s very inspiring and interesting. I really love reading it.